Alisa T. Apreleva-Kolomeytseva, MT-BC, NMT, is a board certified music therapist (USA), neurologic music therapist, language specialist, PhD researcher at Anglia Ruskin University (UK). As an international advisor for ALS Foundation “Live Now” (Moscow, RUSSIA), her clinical experience includes working with ALS patients and their families, developing treatment protocols and training volunteer musicians to provide support for the families served by Foundation. Ms. Apreleva is the founding director of the open educative initiative MuzTerapevt.Ru to advocate for evidence-based music therapy in Russia (2013 – current), World Federation of Music Therapy Public Relation committee member (2017- current), and previously (2014 – 2017) served as a student clinical training supervisor (medical, psychiatric and special education) at Berklee College of Music (USA). Dr. Lev Brylev, Medical Doctor, Neurologist, researcher, the Head of Neurology Department at Moscow city hospital #12 (RUSSIA). He is the Medical Director at ALS Foundation “Live Now”, the Team Lead for the multidisciplinary ALS team, and an advocate to improve the quality of care for people with ALS/MND and their families in Russia. Dr.Brylev has collaborated with International Alliance of ALS / MND Association to advance multidisciplinary care, patient autonomy and advance care planning for patients with ALS within Russian health care system. Dr. Alexander Street, PhD, NMT, is a neurologic music therapist, postdoctoral researcher at Anglia Ruskin University (UK), educator, advisor for research design. Dr. Street uses music therapy in rehabilitation of adults and children with neurological conditions. He specializes in the design and use of treatment protocols for rehabilitation following brain injury. He incorporates technology in his work in order to improve patient accessibility and treatment efficacy. 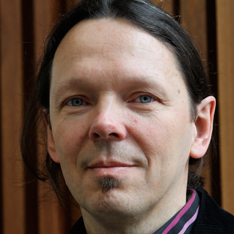 Dr. Jörg Fachner, Doctor of Medical Sciences, Professor of Music, Health and the Brain at Anglia Ruskin University (UK). Jörg was trained to use music therapy in special education, specialising in the treatment of adolescents and addiction. As a researcher at the University of Witten/Herdecke in Germany he was involved in sensory, posture and movement research at the Department of Physiology. Later, as Senior Research Fellow at the same university, he established a research service and music therapy online journal at the Chair for Qualitative Research in Medicine. Funded by FP6 of the EU and AOF as a senior researcher at the Finnish Centre of Excellence in Interdisciplinary Music Research at University of Jyvaskyla in Finland, he focused on music therapy interventions and brain responses on depression and stroke treatment. We are grateful to all the external expert advisors who have helped to move this research forward: Dr. Marina Bialik at Palliative Care Initiative, Inc., who inspired this work, Dr. Richard Sloan at West Dorset MND Association (UK), Anastasia Beltukova, MT, at “Turmalin” (Moscow, Russia), Terri Handler and Dr. Matvey Lukashev at ALS TDI (Cambridge, MA, USA), Alex Sherman at the Neurological Clinical Research Institute at Massachusetts General Hospital (Boston, USA); Kathy Mitchell at ALS/MND Alliance (Ottawa, Canada), Dr. Alfredo Raglio at University of Pavia (Italy), Victoria Edwards, SLT, Siofra Mulkerrin, SLT, and the whole MND team at Arthur Rank Hospice (Cambridge, UK), Dasha Ivanchenko, logopedist (Moscow, Russia), Dr. Jordan Green, CCC-SLP, at MGH Institute of Health Professions (Boston, USA), Dr. Emily Plowman, CCC-SLP, at the University of Florida (USA), Ekaterina Bruno, CCC-SLP (Boston, USA), Maria Ilchenko, MT, and Ruslan Semenov, MT, at ALS Moscow Centre (Russia), and all the ALS patients, caregivers, volunteers and care specialists who have generously shared their feedback with us.